One-On-One Career Coaching | Bach Associates Inc.
My intention is that you, as my Coaching Client, will be able to handle any interview question asked of you, confidently and professionally, and feel good about it. If you are interested, in finding out more about our one-on-one Private Coaching Program, click this button to schedule a complimentary strategy session. I will coach you in a way that is best for you, and it will be specific and proprietary to your needs. The purpose of our interaction is to keep your focus on your desired outcome and to coach you to take action and keep moving forward. I coach by helping people enhance their skills, tackle their fears head-on, and overcome whatever is holding them back. Teaching you to Ace one particular interview is not my objective; but giving you the tools and guidance to Ace any interview is! If you would like to go deeper and feel that you need the accountability and impetus to move your Career, further, faster, then consider, One-On-One Career Coaching. I cover all of the following events and situations from Job loss, Outplacement Counselling, Career Transition and Ascendency, to Onboarding and becoming successful in your new Position. Addressing and overcoming any limiting beliefs you may have about the Job Search or your Career in general. Building a Strategy to approach your next Job Search. The best Candidate for the role, for your desired “target companies” and positions within those companies. Finding out what your particular strengths are, capitalizing on those strengths, and minimizing your weaknesses. Discovering what Corporate Cultural you fit best into. Listing your accomplishments and showcasing your talents to present yourself as an outstanding Candidate. The difference between the various Interviewing Professionals; such as HR Managers, Contingency Recruiters, and Retained Executive Search Consultants; and how working with each of them affects you, and more specifically, your chances of getting the position that you want. How to prepare for every phase of the Job Search. Social Media and how to present yourself to best advantage on it. What you need to do after your interview – The importance of saying “thank you” and what you should say in your “thank you” notes. References – How to get your references to champion you and be your biggest advocates. Deciding whether to take the job or not, and how to evaluate the Company. Understanding the importance of Corporate Culture and how a “miss fit” will completely sabotage your success. Onboarding and how to be super successful in your next position. Role Playing and in-depth preparation for your upcoming interviews. It will happen to you. Sooner or later, your manager, perhaps at no fault of your own, will have that surreal conversation with you that will leave you speechless. “Greg, I am here to discuss your transition”. A few hours or days will pass and, as many people do, you will look to friends, colleagues, self-help books and seminars for career direction on your next steps. 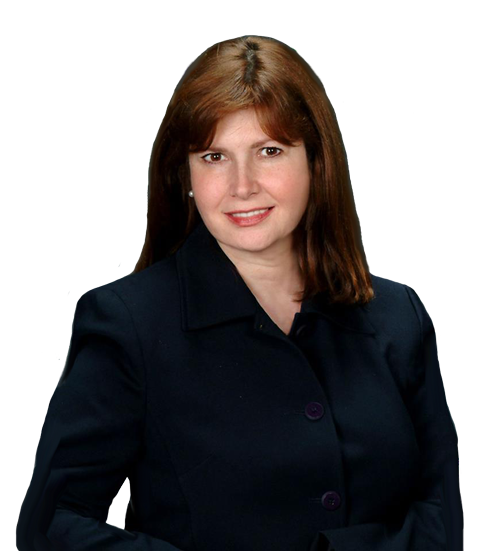 My advice – hire Leora Bach, Professional Career Coach. After reading Leora’s book, Ace Your C-Suite Interview, I took the chance and e-mailed Leora via LinkedIn hoping she could recommend someone for career coaching as I was not at the C-Suite level. Much to my surprise, I received an e-mail back and within 48 hours of my request to Leora, we were on a phone call discussing my situation. Leora is a very seasoned and professional career coach that will help you find your positive traits and attributes to land you your next job. I found Leora to be extremely patient, genuine and a very good listener. Her guidance helped me land a position with a great company. I am very pleased to have made the effort and investment with Leora and I urge anyone in a similar position to reach out to Leora! When I first called Leora out of the blue, she immediately made helping my career a priority and gave so much of her time. Leora’s sincere desire to coach and unwavering commitment to see me through to landing a stellar position is something I won’t ever forget! I cannot thank her enough for all her help and encouragement! Leora has an eye for exceptional talent and a natural ease of helping to present it in a manner so that all will recognize it. This is a talent in its own right that comes from extensive experience and a dedication rooted in a passion for one’s work. Perhaps it is her possession of that passion that allows her to easily identify it in others. Many times, as professionals with a lifetime of experience focused on our respective fields, we forget how to sell ourselves, and it is difficult to understand why others may not recognize that we are the best Candidate for a role. Leora’s strength is in guiding skilled Candidates through the process of distilling their talents and bringing them to the surface so that they are readily apparent to a potential employer. Chief Geologist, Bullion Exploration Inc.
You can connect with us using this form or using one of the methods below. 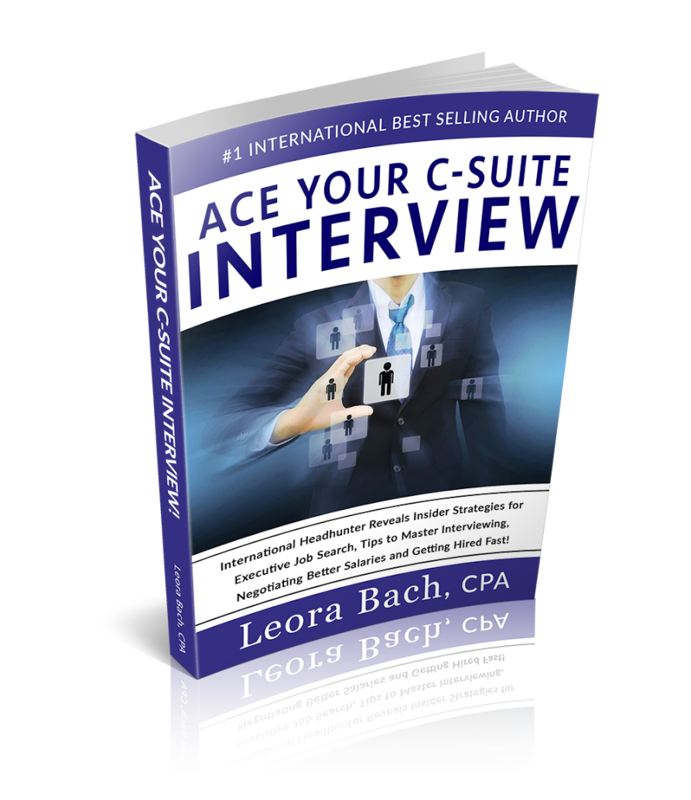 Get your FREE chapter from the International Best-Selling Book “Ace Your C-Suite Interview” by Leora Bach.